Handlebars get a fancy makeover with Sarah Lovell bike and scooter ribbons! 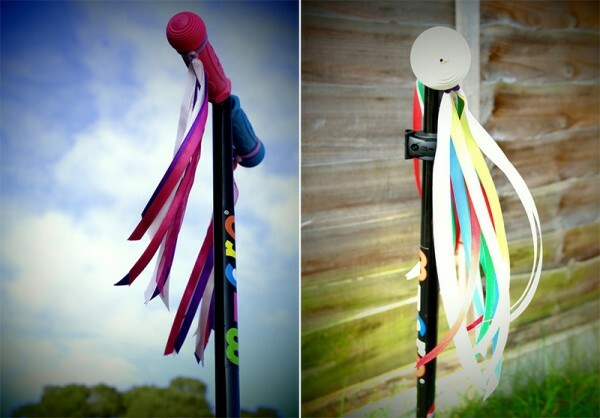 The only thing better than the wind blowing your hair as you whizz around on a bike or scooter, surely must be hearing the breeze whistle through your handlebar ribbons. 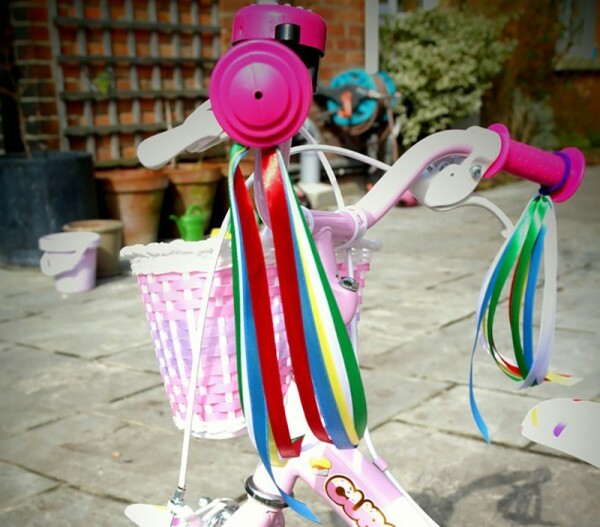 Yes, the kids’ handlebars can sport seriously fun accessories and we think they’re brilliant! Sarah Lovell Art Scooter and Bike Ribbons are a cluster of coloured ribbon lengths on elastic which children can slip over their handlebars for an instant hit of playground and skate park wow factor. An added bonus, they’re also great for helping kids identify which ride is theirs in a crowd. Four colour combinations are currently available – Classic, Tropical, Summertime and Pinky. At only £3.95 a pair, you know you’re going to want more than one pair. Scooter & Bike Ribbons are available direct from Sarah Lovell Art.